Portsmouth harbor was the home port of many a sailing ship and thus, many pints were served in the taverns and inns of the town when the ships had come into port. 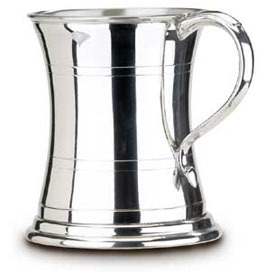 This beautiful, lead-free pewter tankard will hold a full pint. 16 ounce capacity.